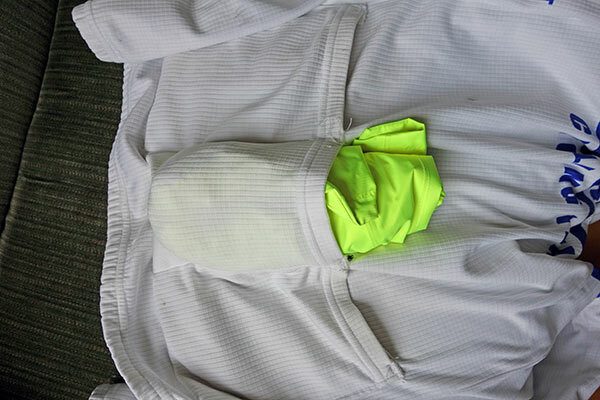 It is marketed as a small and compact jacket, but, it is quite hard to fit into a jersey pocket. You can squeeze it in, but quite a bit sticks out and it will stretch the jersey pocket. This is a bit of a downside for carrying as waterproof back-up on long rides. What is jacket good for? 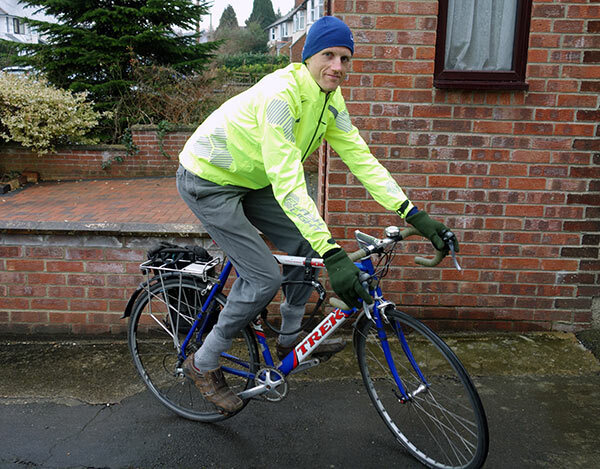 The jacket is very good for using on rainy commuting days. It will get you to work relatively dry – definitely waterproof and as long as you’re not doing intervals on the way to work, reasonably breathable. For training rides, I would only take on very rainy days, when I know it’s going to be raining for 80% of the ride. For the off-chance of rain, I wouldn’t want to carry in back-pocket, I would want something smaller. Still if you need a waterproof jacket which errs on the side of waterproof-ness, this may be a good choice for the larger saddle bag. It will give the security of good protection against long-cold rainy days. It is a very good product – well made and quite good value. There are only small areas for improvement – perhaps longer-tail, perhaps some option for greater ventilation around arm pits. The only real drawback for me, is the size for getting in the back of a jersey pocket. However, I wouldn’t buy for that particular use. 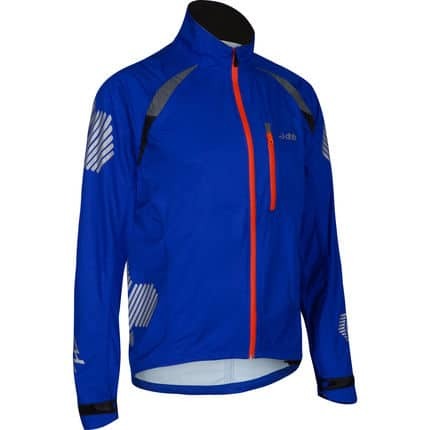 It makes a very good commuting jacket for rainy and grey days, when you need to stand out and keep dry. I had a similar problem with fitting an Altura Nevis jacket (great waterproof incidentally) into a jersey pocket. My solution was to fold in and stuff it up the back of my jersey. Extra insulation in the cold, and nice and warm when you come to put it on!